The path to drug addiction begins with experimentation. 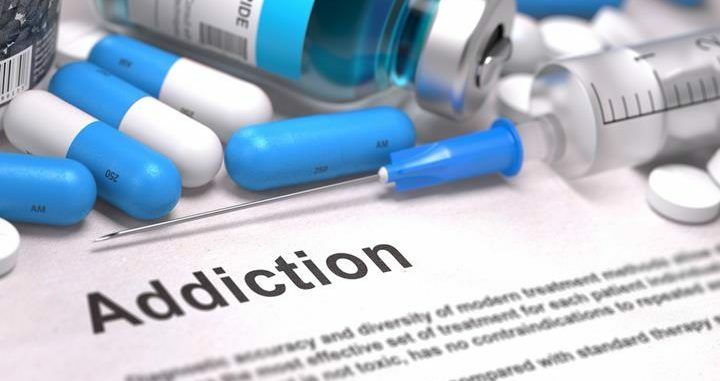 In the beginning, the substance of drug addiction gives the user a sense of relief from his or her problems and/or the false perception of making their life better. Therefore, these euphoric feelings the drug addiction gives the abuser, causative of chemical imbalances in the brain, need reinforcement with the drug or drugs which give the subject relief. However, very soon, the brain will become dependant on drug addiction for its relief, being unable to sufficiently regulate itself without it. Drug addiction is a disorder, complex in nature, characterized by habitual compulsive drug use. Addicts describe feelings of being overwhelmed, unmanageable need for drugs or alcohol, even in the confrontment of the negative consequences. The behavior, being ever so self-destructive, tends to be misunderstood. Within the brain’s chemistry lies the answer. As the abuse is repeated, the brain is altered, causing interminable changes as to the looks and functions of the subject’s brain. The brain, in its altered state, is causative, interfering in the ability to process thoughts clearly, exercise good judgment, control behavior, and the tendency to feel abnormal without drugs. 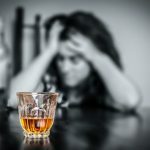 These changes in the brain are responsible for the continuance of the drug cravings and compulsiveness of abuse, thus making the addiction much more dominant. 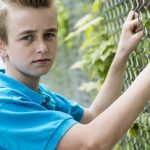 While keeping in mind that not all persons showing the following symptoms contribute necessarily to mean drug use or addiction, the presence and persistence of these behaviors can be explained as simply as adolescent stress. Yet others may be symptoms of depression or any number of other problems, which are present. Nevertheless, they may very well warrant your attention. It is of great importance to be attentive of significant changes in a person’ss physical appearance, their personality, attitude and/or behavior. The physical signs of drug abuse are numerous and complex. Loss of appetite, as well as increased in appetite are among these symptoms, as well as unexplained weight loss or gain. Poor physical coordination, insomnia, unusual laziness, red, watery eyes, and a blank stare are signs of abuse. Many abusers complain of cold, sweaty palms and uncontrolled shaking of the hands. One sure sign of abuse is the odor of a substance on the breath, body or clothing. Behavioral signs may also be associated with drug addiction. Changes in overall attitude or personality, friends, new hangouts, and perhaps most obvious, friends who are known drug users. Poor performance at school or at work is also signs to consider. Obliviousness, lack of motivation, moodiness and irritability, paranoia, and changes in personal grooming habits are all suspect in drug addiction. Medication, as well as behavioral therapy is paramount in the success of drug rehab treatment. When combined, drug rehab programs often begin with detoxification then followed with further treatment and relapse prevention. Withdrawal of symptoms is of the utmost importance of drug rehab treatment, thereby preventing relapse. If relapse occurs, the initial method of drug rehab treatment must be recurrent. Medications may be of much assistance in many aspects of drug rehab treatment, offering help in the suppression of withdrawal symptoms. However, this medically assisted detoxification is not, as a whole, a drug rehab treatment, but only a precursor of the drug rehab process. The medications used in drug rehab, help in the reestablishment of normal brain function, thus preventing relapse and help in diminishing cravings. Currently, drug rehab medications for heroin, morphine, tobacco, and alcohol addiction are being developed for treating other stimulants such as cocaine, methamphetamine and marijuana addiction. Behavioral treatments can be extremely helpful, allowing patients to be engaged directly in the treatment process. Implementing this drug rehab method allows the modification of the patient’s attitudes and behavior, thus enhancing the effectiveness of any drug rehab medications prescribed. Moreover, treatment for drug addiction may be effectively delivered in one of several settings, using various approaches. Outpatient behavioral treatment can be effective. Cognitive behavioral therapy, multidimensional family therapy, and motivational incentives programs are just some such treatment methods. Residential treatment programs, in some cases, have proven very effective as well, especially when severe abuse problems exist. The highly structured methods, in which drug abuse patients remain at a specific residence, are typically 6 to 12 months in duration. Night Terrors: What Causes Them?